The chewy homemade fudge of your childhood holds a secret: It's both delicious and an exercise in the physical chemistry of sugar crystallization. 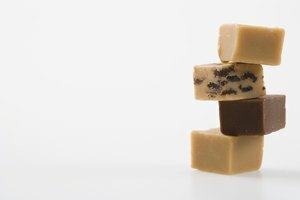 Fudge needs its sugar to crystallize, but only in the second phase of its cool-down. 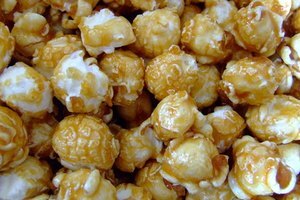 If crystallization occurs before it reaches 110 degrees Fahrenheit, large clumps of sugar, similar to rock candy, form. 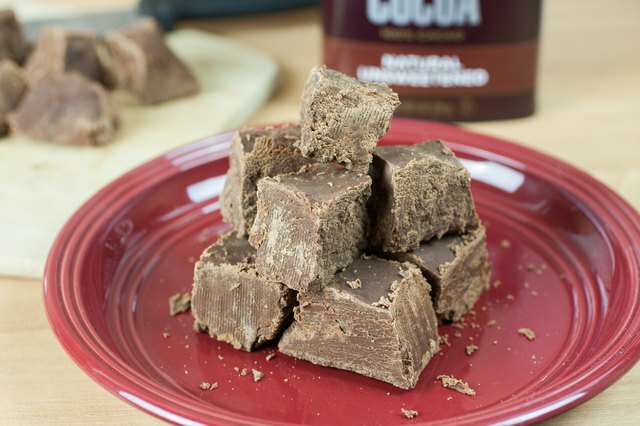 Crystals are desirable after fudge cools to 110 F, though, because the sucrose molecules form tiny, imperceptible bonds that make it smooth and creamy. 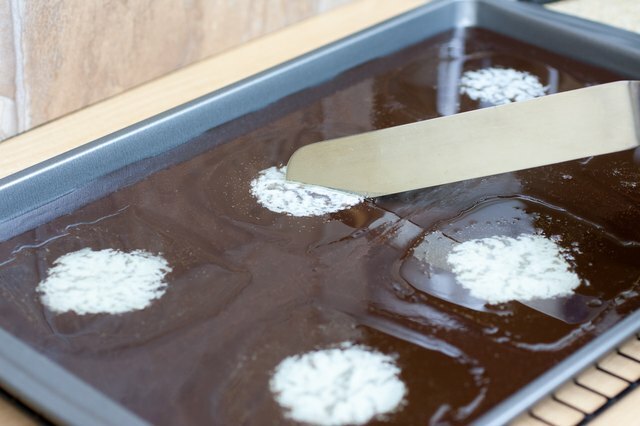 Dust and air bubbles are the chief causes of early crystallization, so the fudge must remain undisturbed for the first part of the cool-down. Heat the milk, sugar and cocoa to 238 degrees Fahrenheit, measuring with a candy thermometer, and take the saucepan off the stove. Place the saucepan on a cooling rack. Prop one side of the saucepan on a kitchen towel folded to about 1 or 2 inches thick. 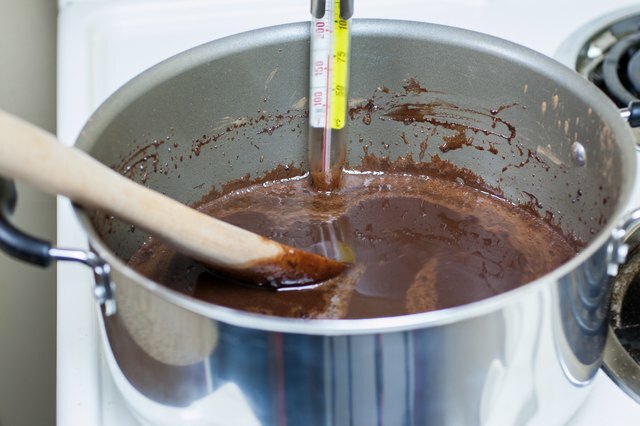 You want the fudge syrup to pool around the candy thermometer so it accurately reads the temperature during cooling. 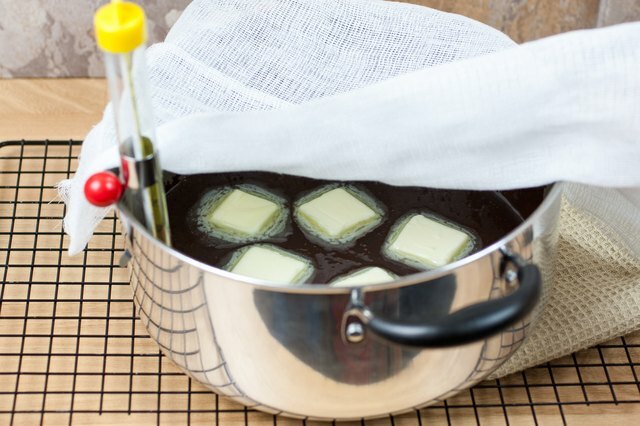 Set cubes of butter on the surface of the fudge syrup. Drape a folded piece of cheesecloth over the saucepan to help keep dust out. 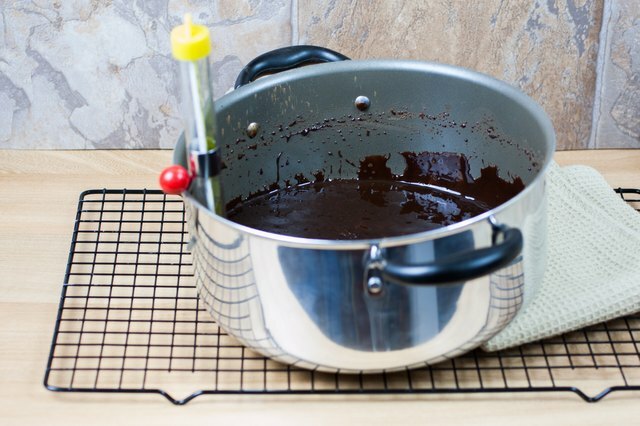 Let the fudge cool to 110 F, about 50 to 70 minutes depending on volume. 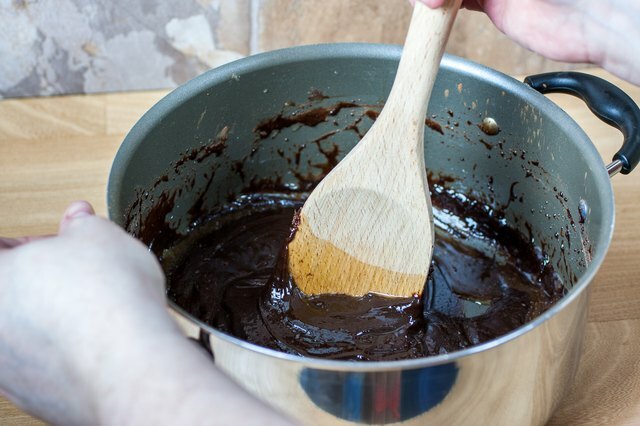 Stir the fudge with a wooden spoon until it thickens and loses its gloss, about 25 to 35 minutes. 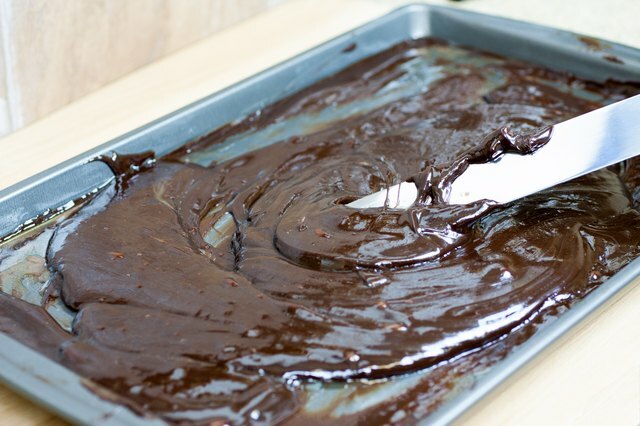 Stir in secondary ingredients, such as nuts or dried fruit, when the fudge loses its gloss. 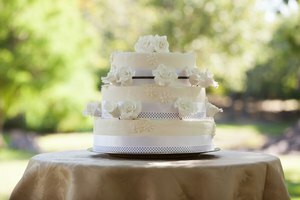 Scrape the fudge into a shallow dish lined with parchment paper and let it cool until it reaches room temperature, about 1 to 2 hours. 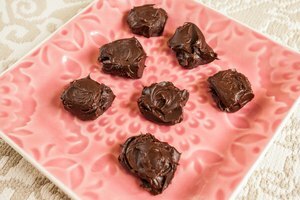 Lift the parchment paper and fudge and set it on the work surface when it hardens. 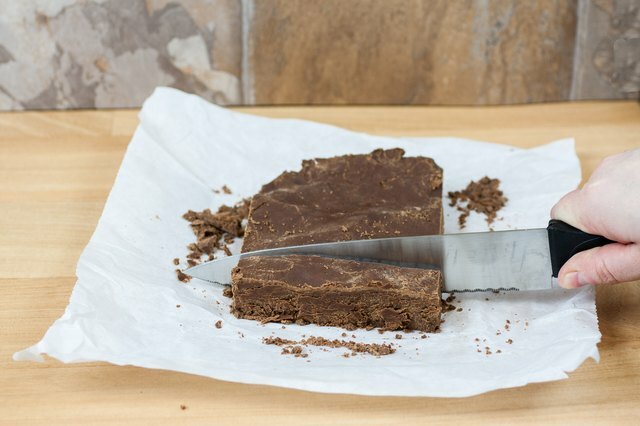 Slice the fudge into serving squares. 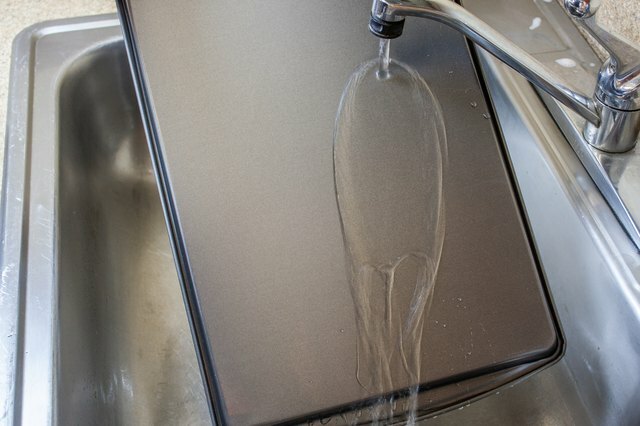 Hold a sheet pan, sometimes called a jelly-roll pan, under cold water long enough to moisten it and shake the excess off. Place the sheet pan on a wire rack. Scrape the fudge syrup into the sheet pan. Lay the butter cubes on top of the syrup. Cool the fudge for 30 minutes. 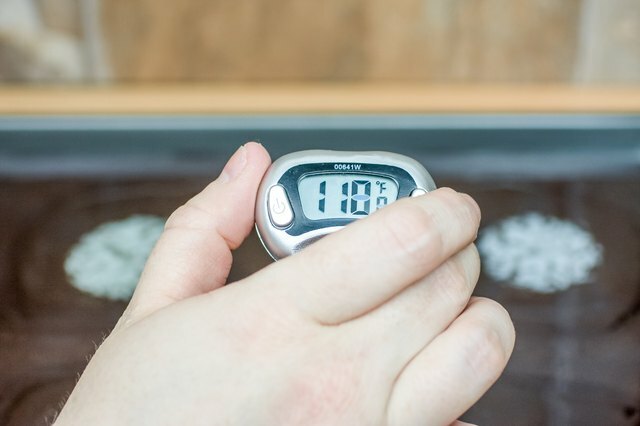 Check the temperature by inserting the tip of a digital instant-read thermometer in the fudge; don't touch the bottom of the pan with the tip. Proceed when the fudge cools to 110 degrees. 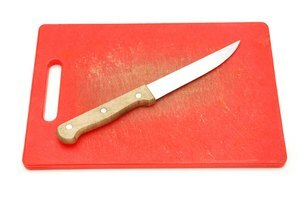 Blend the butter and fudge syrup using a 10-inch offset pastry spatula. Scrape the fudge from the bottom of the pan, turn it over and drop it in the middle. 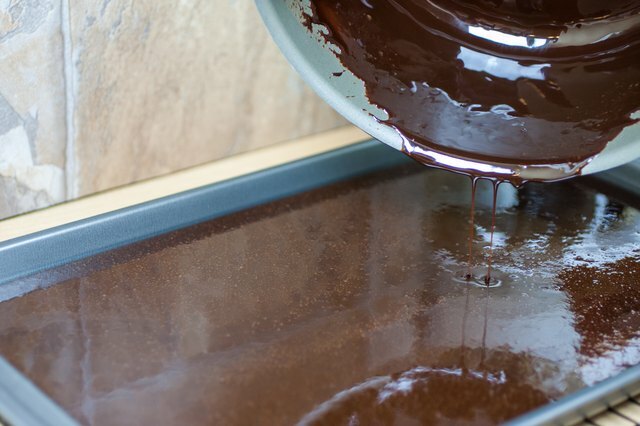 Blend the fudge until it loses its gloss, about 20 minutes. Blend in secondary ingredients if needed. 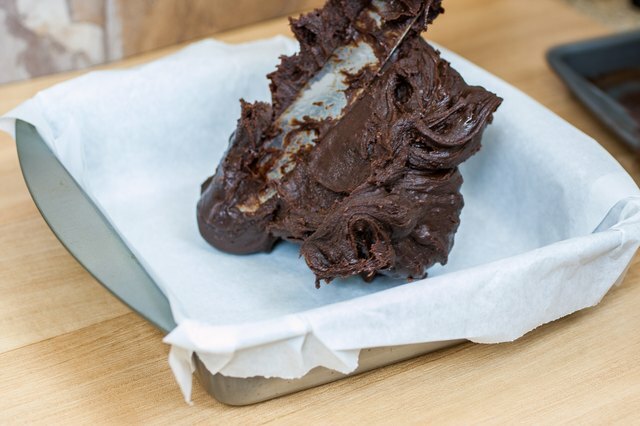 Scrape the fudge into a shallow pan lined with parchment paper. 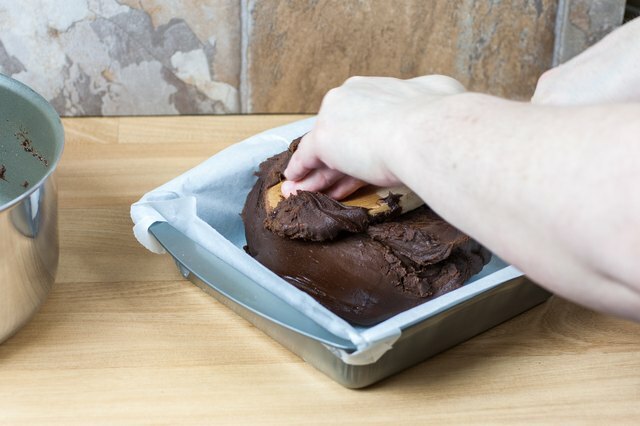 Let the fudge cool to room temperature before slicing it.